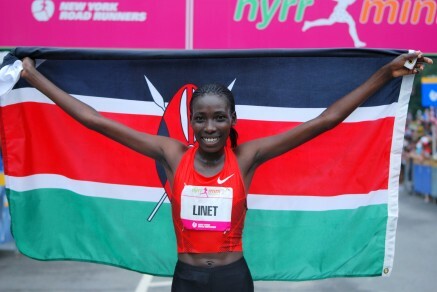 World Champions Vivian Cheruiyot and Linet Masai secured their places in the Kenyan team for the African Championships with expected wins in the Kenyan T&F Championships in Nairobi. Cheruiyot took the 5000m title ahead of Iness Chenonge while Masai took the 10,000m title from Pauline Korkwaing with sister in law Doris Changeywo in 3rd. It was a good day for the PACE females as Winny Chebet placed 2nd in the 800m and improved her personal best to 2:00.89; Ann Karindi Mwangi returned from Japan to place 2nd in the 1500m while Mercy Njoroge should have done enough to get her place on the team with 3rd in the 3000mSC. Mark Kiptoo returned to form with 3rd in the men’s 5000m while Titus Mbishei just missed out on selected with 4th in the 10,000m. Abraham Kiplagat and Richard Kiplagat placed 4th and 5th in the 800m equalled by Abraham Chirchir and Linus Chumba who were 4th and 5th in the 3000mSC. Abraham Chebii placed 5th in the 5000m with Mike Kigen in 7th.